Once a patent is allowed in Israel, it publishes for opposition purposes. Oppositions are usually filed by competitors, since they have a commercial interest in preventing the applicant from obtaining a patent. Sometimes there is little more than commercial interest. Usually, however, the opposer knows the field better than the Examiner and may be familiar with prior art published in the scientific literature, for example. The competitor may spend considerable resources to uncover prior art and to develop arguments showing that a patent should not have been allowed. Sometimes competing companies merge or one takes over the other. In such cases, an opposition proceedings between the parties may be dropped. The arbitrator of an opposition proceedings is, however, entitled to put himself/herself into the opposers shoes, to review the arguments and evidence submitted, and to continue the opposition as an ex-partes proceeding. 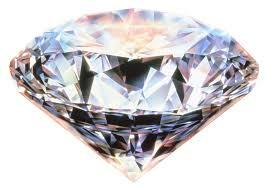 Israel Patent Application Number 156034 relates to a method of locating flaws and inclusions in diamonds. A method for localizing inclusions in a diamond wherein said diamond is fixed on a holder, characterized in that: a scan is taken of the outer surface of the diamond at an arbitrary initial position; the inclusion in the diamond is observed in at least a first and a second direction of observation; wherein the translation and rotation for every direction of observation is registered with reference to the initial position; wherein the registered translations and rotations, the scan of the outer surface and knowledge of the refractive index of the diamond are fed in a computer to calculate 3d image including the inclusion with respect to outer surface in order to localize the inclusion with respect to the outer surface of said diamond. Dia Expert filed an opposition and argued that their system and its user manual were close prior art. The differences between the two systems include using the refractive index in calculations and being able to translate the stone and not just rotate it. Opponent argued that the refractive index is simply Snell’s Law, and that its use in similar equipment is found in a couple of cited references. Similarly, the translation is also discussed in the prior art. The opposition was withdrawn, but the Deputy Commissioner, Ms Jacqueline Bracha, argued that the opposer had demonstrated that claims 1-3 were obvious and claim 4 was anticipated by the prior art. She also felt that the opposition had convincingly argued that the patent application was not enabled. Invoking her prerogative to refuse the patent under Section 74b of the Law, she gave the applicants 30 days to show how the claimed invention was novel, inventive and supported.